The book “Global and European Policy of Adult Education – Concepts, Paradigms and Approaches” written by Katarina Popović, is new study in the area of international adult education. This publication bring detailed and scientific approach to the field of adult education policy. Role of the main international organizations in world arena of adult education was discussed. 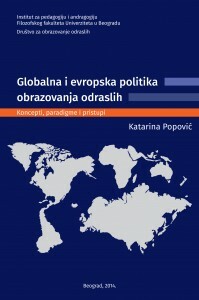 The chapters have metaphorical titles as UNESCO: Global nanny, World bank: Bulldozer with a wallet, OECD: Gray eminence, European Union: Dwarf and Giant, Civil society: Critical friend or Mortal enemy, Policy of adult education after 2000: Clash of the Titans, Final considerations: In the paradigm scissors. 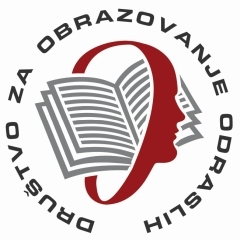 Publishers: Adult Education Society and Institute for Pedagogy and Andragogy, Faculty of Philosophy, Belgrade University. Belgrade, 2014.